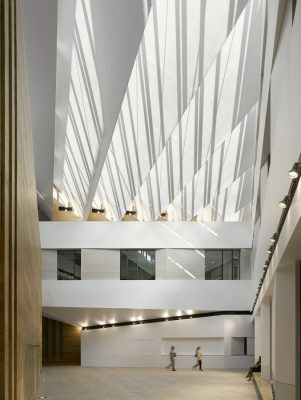 Chetham’s School of Music – Stoller Hall by stephenson STUDIO – Manchester, England School – independent/public – is one of four winners announced. 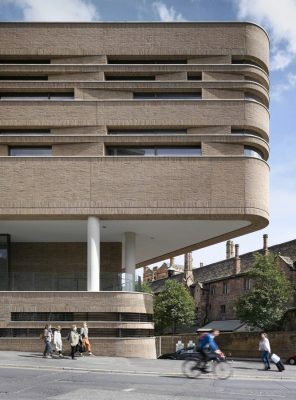 Chetham’s School of Music is the largest world class Music School in the UK and is unique to the region. The existing medieval building contains the first public library in England, which boats amongst its’ scholars Karl Marx and is an architectural gem. It is currently not readily accessible to the public and one of the main design principles was to create a dialogue between the existing buildings, the new school and its wider context. The musical heart of the School is in a building which is no longer fit for purpose and the School has outgrown its current building provision for teaching and learning through its increased success and profile. 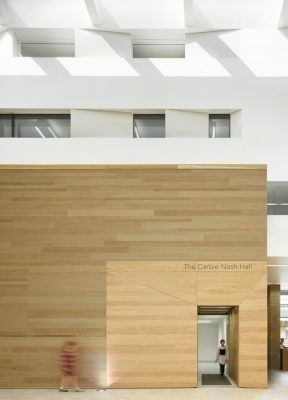 The brief was to create a unique contemporary new building for the musical and academic teaching facilities, providing a state-of-the-art environment which will be a fitting platform for the students. 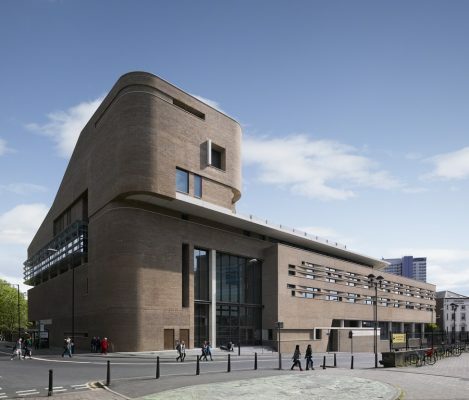 A public auditorium will allow Chetham’s students to display their talents to the public. The building itself will provide an iconic opportunity for the educational and cultural standing of Manchester to consolidate its position on the international scene. The site varies in elevation by approximately 6m from the bottom of Walkers Croft to Victoria Station Approach. The architects propose to use the height difference as a datum to reinforce the diversity of the buildings’ programme. The performance spaces and their associated service spaces are located below the datum whilst the music and academic classroom accommodation is placed above the datum. The main public entrance, foyer and ensemble rooms are located on the datum itself. A new bridge link allows daily secure access for the staff and pupils from the existing school campus to the south. The building is conceived as a carved solid, rising from the south adjacent the grade 1 medieval building, to a fulcrum above the main entrance to the north. The form of the building reflects the fluid forms of musical instruments and the island nature of the site. The elevations are expressed horizontally and are influenced by the musical stave and pianola. Many challenges of the site have influenced the form and structure of the building. The river Irk runs in a culvert along the route of Walkers Croft and cuts across the site at the south western corner requiring the upper floors of the music school to cantilever substantially at this point. Due to the city centre location and the sensitive acoustic requirements of the music teaching and performance spaces most of the internal rooms are independent floating boxes. The Concert Hall has a complete independent internal structure floating on springs. This is a project that sits at the core of the ambitions of the Manchester city region, which is looking to preserve and enhance its unique assets for the long-term benefit of its people.